Play the third C in the intro in the 7th fret. Does anybody know a good strumming pattern for this song? a good way to make it sound a hinch better is by adding a g7 chord right after you play g as you say ‘game’ and play an a7 chord after you play a as you say ‘name’ all in the chorus. Keane is an English rock band, first established in Battle, East Sussex, United Kingdom in 1995, taking their current name in 1997. 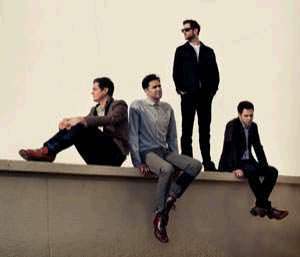 The group is comprised of composer, bassist, and pianist Tim Rice-Oxley, lead vocalist Tom Chaplin and drummer Richard Hughes. Their original line-up included founder and guitarist Dominic Scott, who left in 2001. For their 2008 album "Perfect Symmetry" and the following tour, Jesse Quin joined the band on stage to play bass. He also played a large role in recording the album itself, and he subsequently joined the band fully in 2011. .